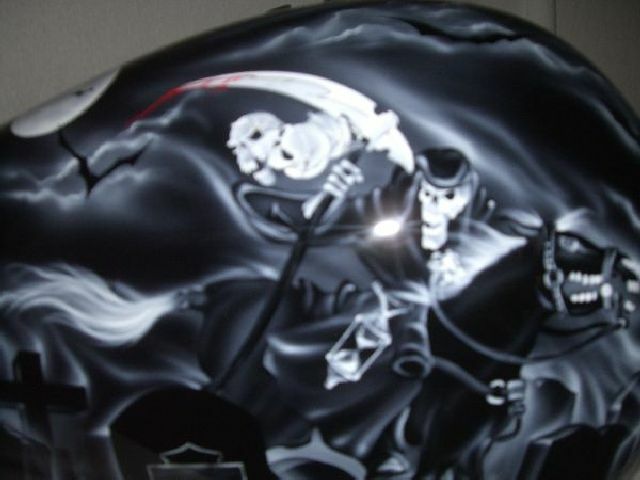 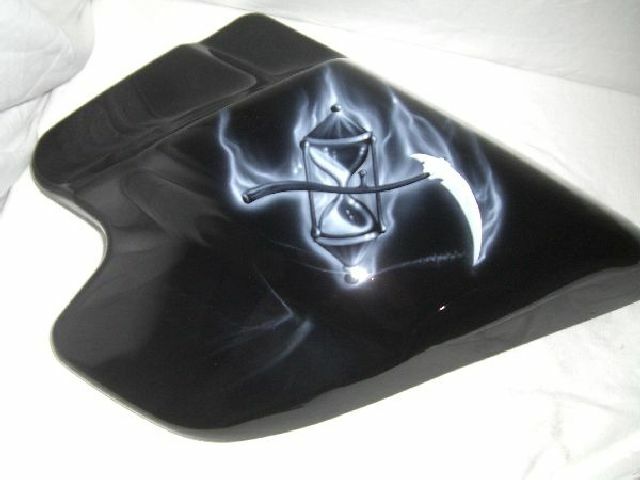 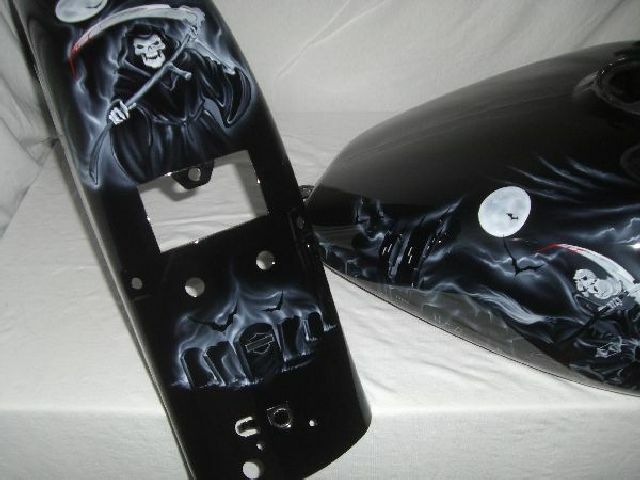 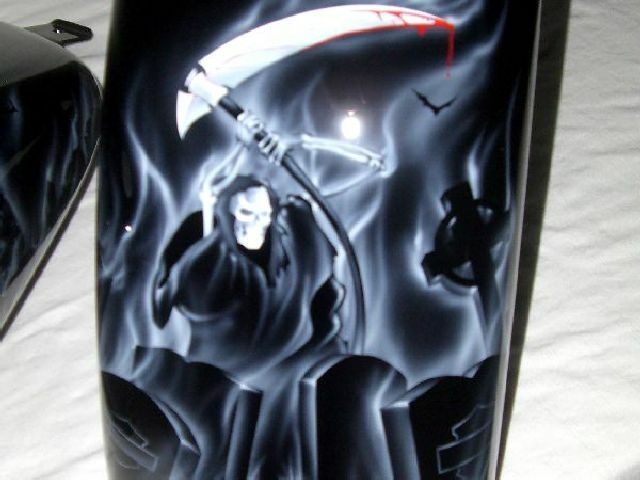 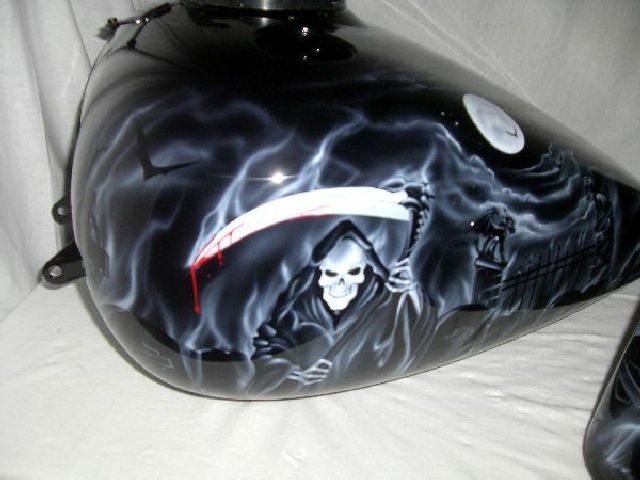 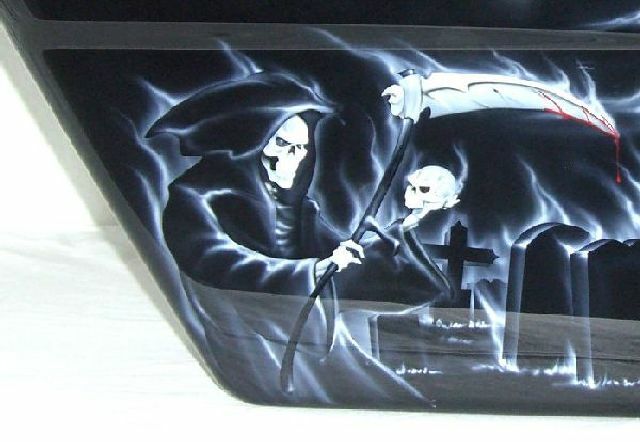 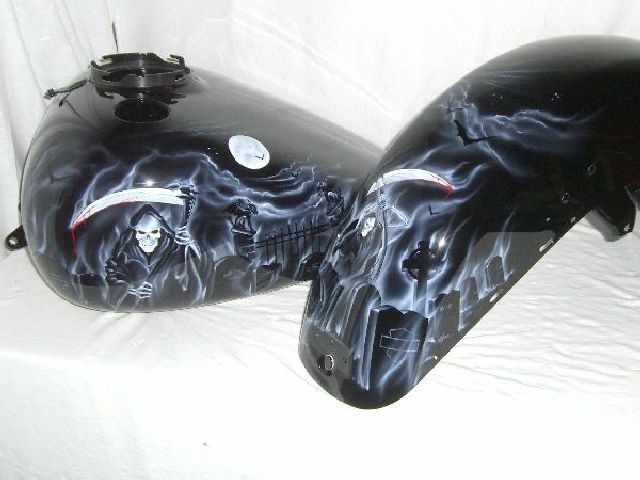 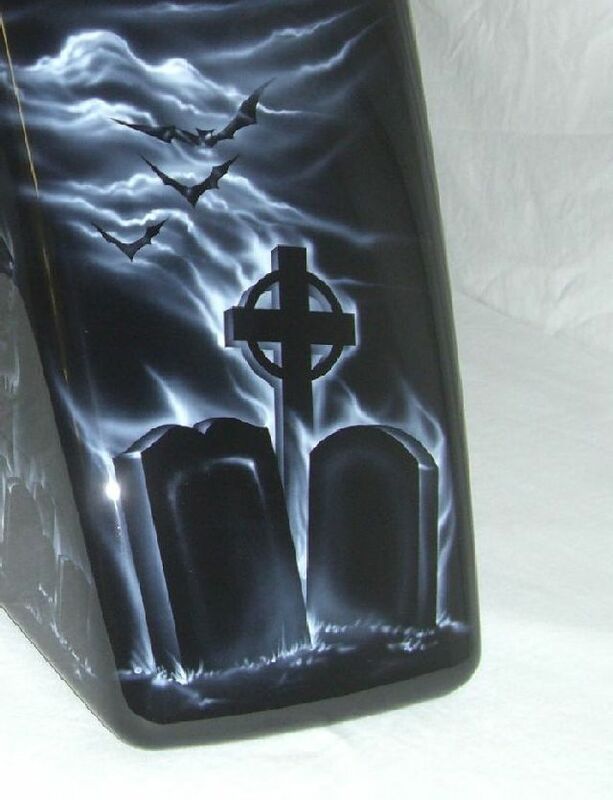 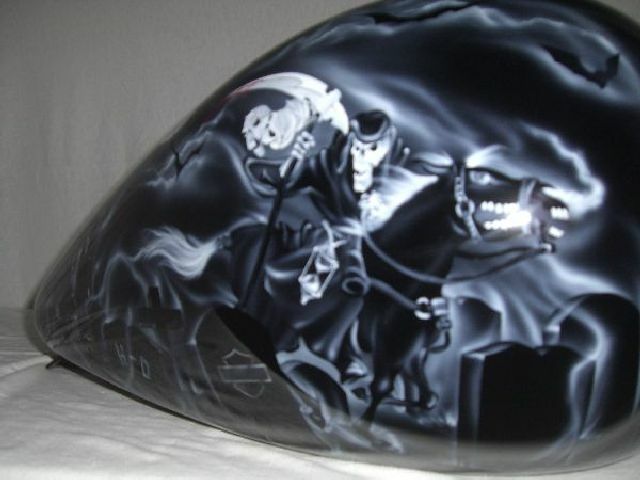 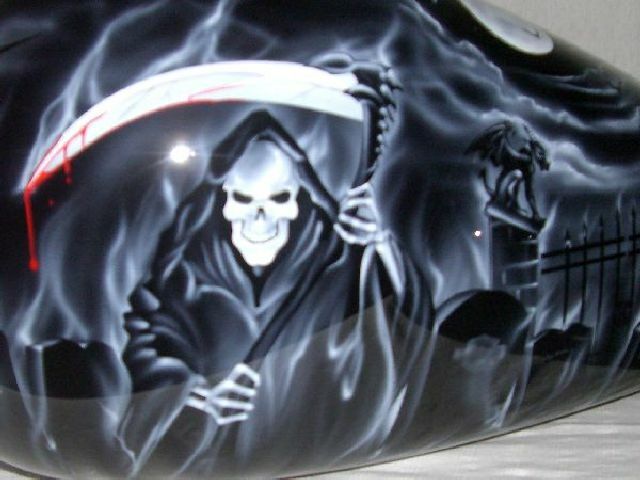 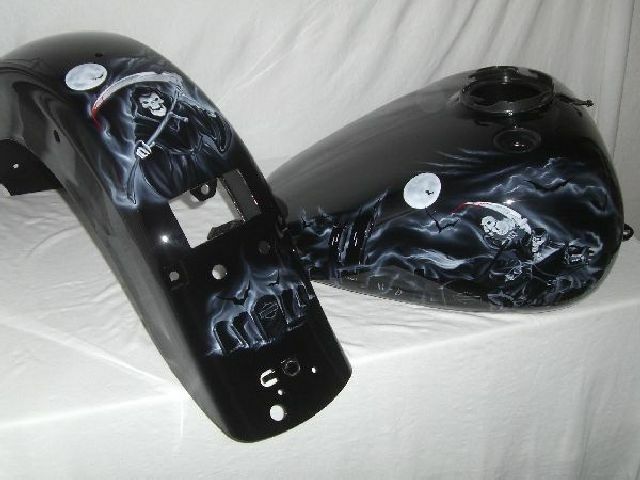 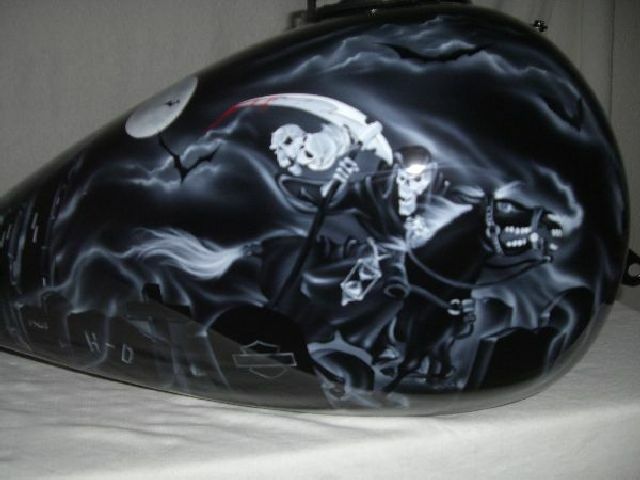 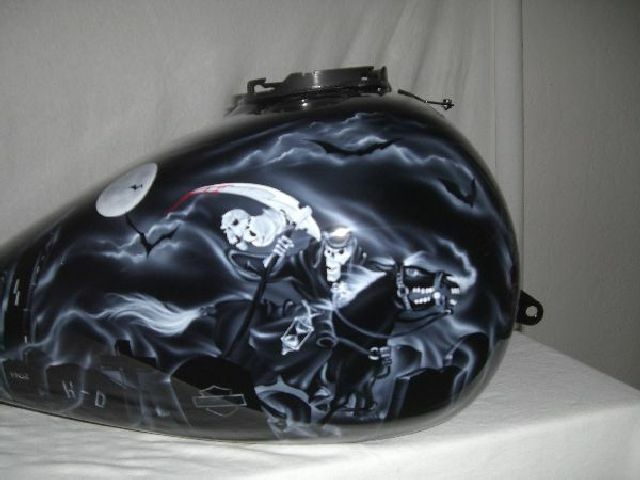 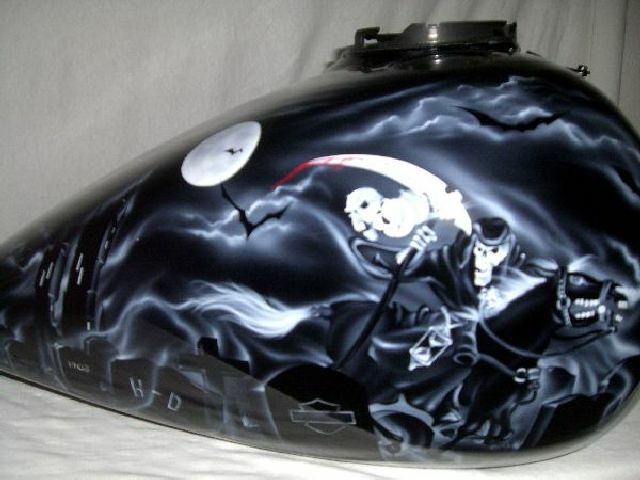 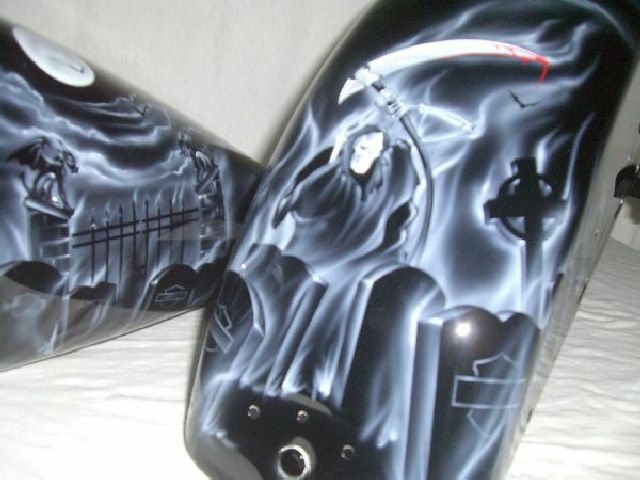 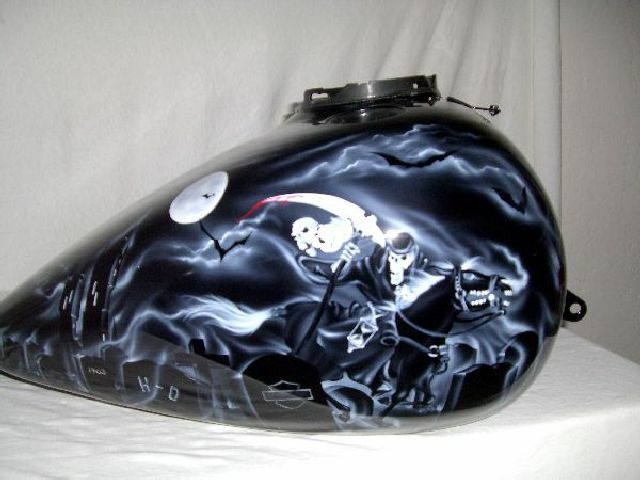 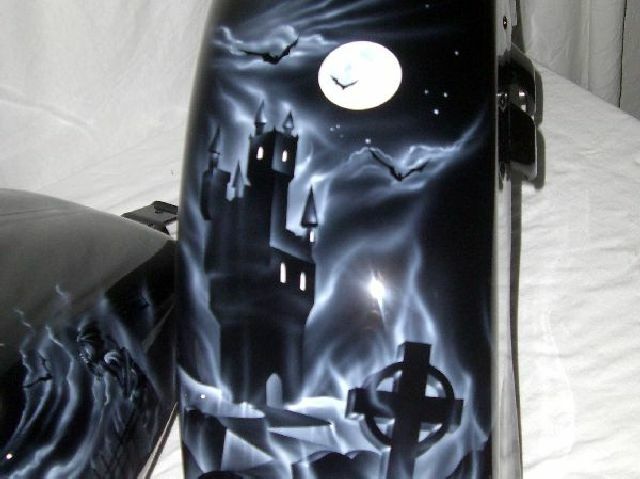 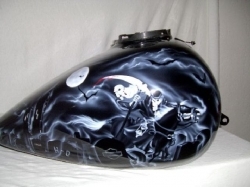 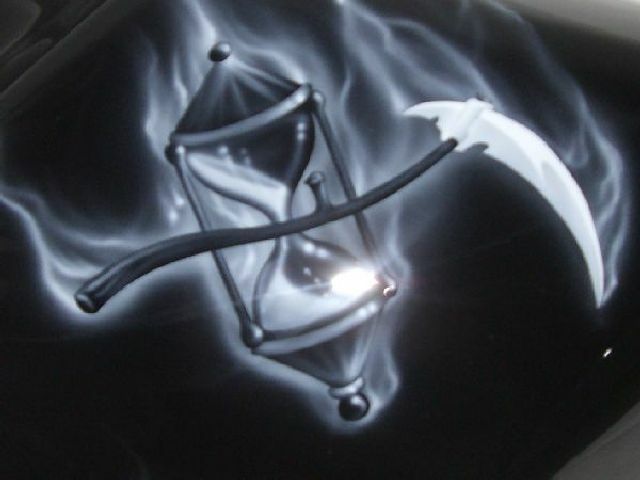 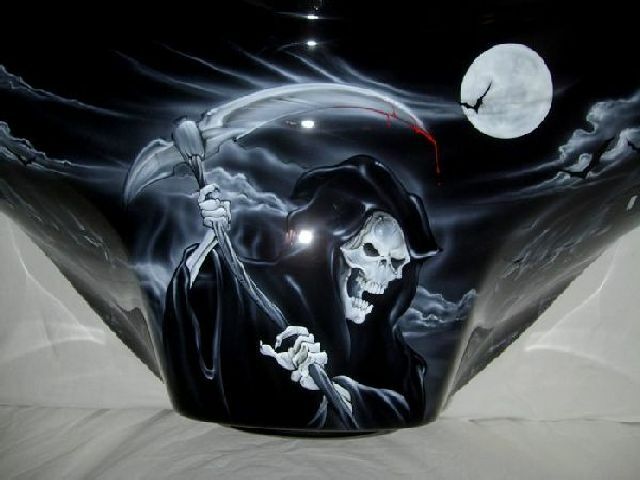 Black and White Grim Reaper on a Black base coat, This artwork is as detailed as it gets with a story told in every piece, a castle on one side of the tank as well as a reaper on a horse on the other side, graveyards and grave stones with writing on them to make them personal to you. 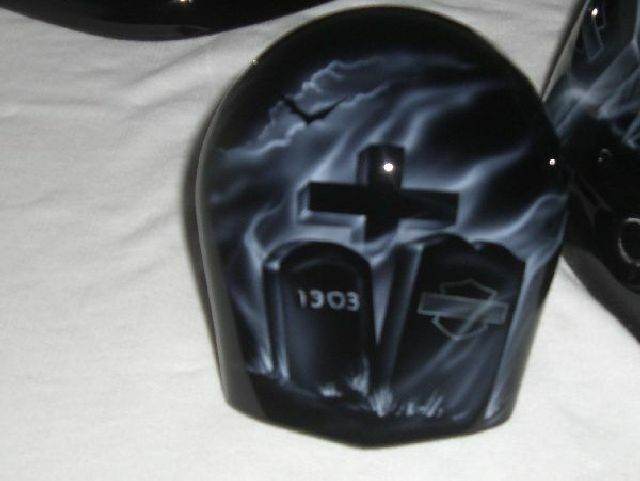 RIP of a loved one or a logo or H-Ds anniversary it is yours make it personal. 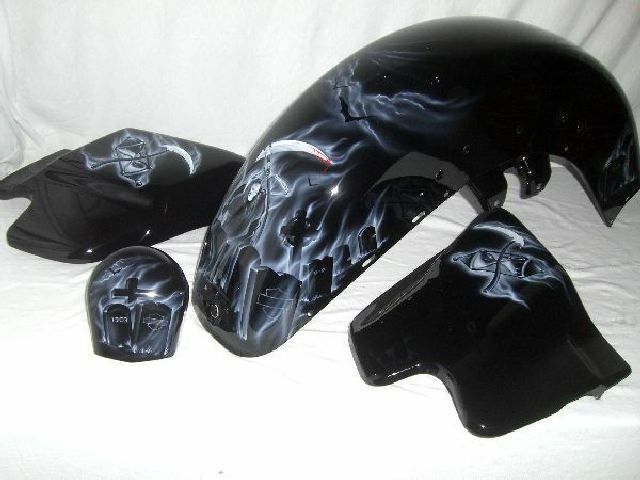 Colors can be switched around to your likings or we can add more colors, look for our full color version of this paint set.